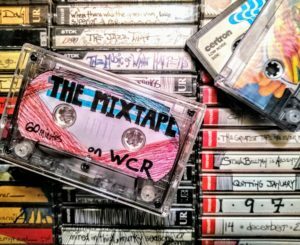 The Mixtape: a now ancient relic from our musical format past — one where someone could express themselves through song selection. These tapes were made to express a love for another, as a companion for that long and winding road trip, as a collection of tunes to accompany that gathering of good friends, or even as a comfort in difficult times. The Mixtape is a place where any and all types of music can coexist together without limits. This hour-long show is intended to present music in much the same way, bringing together different genres and various songs that might not normally be found together in a radio program. New, old, very old; it’s all music and we plan to enjoy it. Come along and join host Chad Jenson for the varying sounds of The Mixtape each Tuesday night at 8 p.m. and an encore presentation Friday nights at 10 p.m.